Today is a Capitalist Invention disguised as an American Holiday to guilt us into treating our mothers, our daughters and the female life bearers special, which leads many to over compensate for a lack of sensitivity with gifts. Of course, Lady Allwinky always reminds me that everyday should be Mother's Day! And, she is correct. 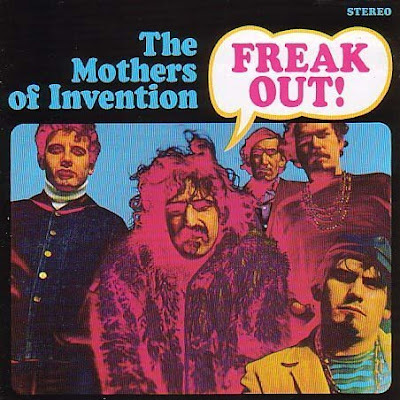 Of course, when I think of Mothers and Inventions...I think of Frank Zappa and the Mother's of Invention...FREAK OUT! It's in stereo! My latest invention for Mother's Day is a hand painted, Monkey Man bejeweled planter. I have to confess that once I finished, I was tempted to plug the hole in the bottom and use it as my new Party Mug! Fit for a Queen! And here is her Royal Highness of Warrick with our Princess on the deck of our Royal Yacht. OK, it was a Royal Caribbean Ship, but I was always able to function very well in fantasy land! Today, Lady Maegan gives her mother the best present of all...Graduating from University! At 3 p.m. this afternoon, she walks to receive her Bachelor of Arts in Advertising and Communications degree...Summa Cume Laude non the less. Lady Maegan becomes only the second Wells on this side of the pond to earn a college degree...yours truly being the first. She's moving on to St. Louis University for a Masters in Business Communications this fall. So, remember today to honor your mother, love your wife, shag your lover...and in the words of John Mayer, "Fathers be good to your daughters...for daughters will love like you do!" But, beware of the Capitalist Hoards...because as Frank and the Mother's say, "We're only in it for the money!" Just like our Members of Parliament who are having all their expenses printed up in the newspapers this weekend...and the taxpayers are amazed to see how many houses we have bought for our ruling party that they then sell and pocket the profit. funny seeing that Zappa bass skin again.....as that was the catalyst for Oxford band Supergrass's second album title... "In it for the Money". I remember chatting to singer Gareth about it and the whole business of bands first album's usually being recorded and produced in excitement and the realisation of a dream.etc......then when the residuals are still years from being forthcoming...the second album that is being demanded by the label is a much more business like affair..with the band still as poor as they were at college, even after all the world tours..and sales and songwriting. As john Lennon marvellously put it when Paul Mac wished they had a swimming pool each.. " Let's sit down and write one "
I must say, Sir Hook, that's you've gotten quite good with your words in recent years. You really should work in communications some how. Perhaps take the lead of the lovely Miss Meagan. Congratulations to all of you upon her being graduated from college. Methinks with her future at SLU that the honorable Elders may have opportunity to sup together from time to time. By the way, when you return to Oxford, the aforementioned pub in an earlier entry of mine is the "Eagle and Child," where your forerunners Eliot and Lewis and Tolkien would quaff ale and discuss literature. Looks like I'll not arrive to London until August 1; I'll miss you by several days. Sigh. I guess I should have signed Sir John of the Rangeline. Lot's of good stuff going on here! 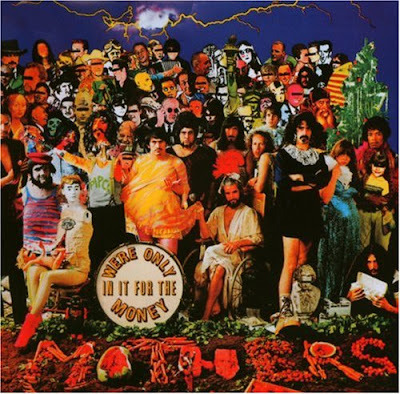 With all the musical references flying around, I'll add one of my own: the flower pot made me want to 'Dance Like a Monkey' with the New York Dolls. Congrats and good luck to the graduating daughter! Lady Howard, One bad mutha - shut your mouth. Lady Tammy, that's so funny. My wife and I had that same thought last night, while listening to the "new" New York Dolls over fishbowls of beer! Sir John of the Rangeline, my mother's brother's son, thank you for the comments and compliments. We'll SLU you SOON! Sir Dayvd,let's continue to write our future and claim back the people's property!